One of the most popular cruise ships sailing out of New York celebrated its first birthday yesterday (May 13th 2014). The ship started sailing from the Big Apple May 13th 2013 after a huge launch ceremony including godmothers the Rockettes. Since then the ship has been sailing from New York all year round. The 144,000 ton ship will continue to sail from New York to Bermuda where the ship stays for three days. Norwegian Breakaway departs from the Manhattan pier every Sunday and will continue to do so for the summer season until September 28th 2014. 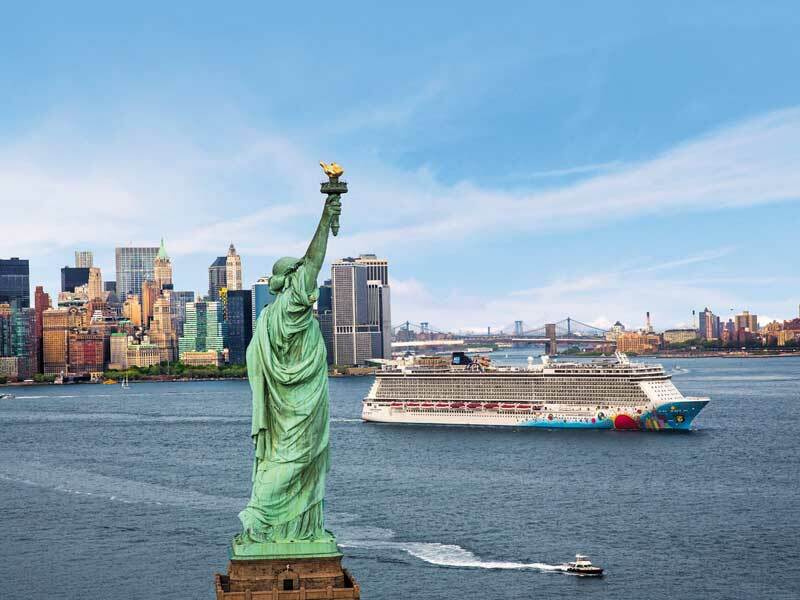 New York city has also benefited from the Norwegian Breakaway as according to the cruise line there has been a 16% increase in guest and crew spending in the city. So Happy Birthday to the ship and crew of the Norwegian Breakaway from Cruise Hive!